Memory Support has its roots in Ayurveda-ancient herbal healthcare system of India . According to Ayurveda the balance of 3 energies- Vata, Pitta and Kapha (Kinetic, Thermal and Potential energy) in the body is a disease free state whereas their imbalance causes diseases. 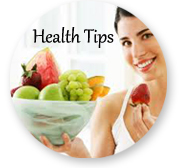 The Imbalance of Vata, Pitta and Kapha leads to decreased memory, lack of concentration, stress and anxiety. The herbs in this product act synergistically to control vitiated Vata" "Pitta" and "Kapha" thus help in improved memory and concentration. Herbs in Memory Support: Memory Support is purely a herbal formulation without any chemicals added into it. The ingredients are frequently used in Ayurvedic system of medicine since 5,000 B.C. without any side effects. 1 -2 capsules twice daily. Brahmi (Bacopa monnieri): The herb 'Brahmi' is used in Ayurveda since ages for loss in memory, lack of concentration, forgetfulness. It increases the retention power as well as recollection. It is very useful in many mental illnesses also. Regular use also helps in stress, anxiety, blood pressure, hallucinations and epilepsy. Vacha ( Acorus calamus): Commonly known as 'Sweet flag' and is very common herb found in our gardens. The root of this herb is useful in treating many mind disorders and increases the speaking ability, speech coordination and memory power. Regular use of this herb increases memory manifold. Licorice (Glycerrhiza glabra): After a lot of research by modern researchers, this plant has been proved as best anti-ulcer and anti-depressant. 'Charaka' - An Authority on Ayurveda (1500 B.C.) has termed this valuable herb as 'Medhya dravya' i.e. which improves memory and intellect. Regular use of Licorice also gives strength, improves eye sights, prevents cough and colds and cures gastric ulcers. The added advantage is it improves memory. So the combination in Memory Support contains best Herbs for Memory. 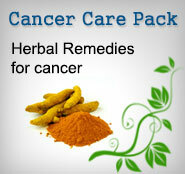 The herbs are explained in ancient texts of Ayurveda as best Memory Enhancing Herbs. The herbs also act together to induce natural sleep without any side effects. This makes Memory Support capsules as one of the best Herbal Remedies for Memory and natural sleep inducing herbs.